This may seem like a trivial matter to some of you, but for the last couple of months I have been noticing a targeted campaign against Biblical teachers such as Beth Moore and Priscilla Shirer. To be specific, the website Pulpit and Pen, whom I have always found to be passionate about defending our faith, has seemed to put a big old bulls-eye on the forehead of Beth Moore. For the longest time, I just ignored it as not worthy of my time in reading about some Christian inner-circle spat. I just wasn't interested in hearsay or theological differences within the Church. I was much more focused on what the Lord was trying to tell me (or as of late, about pursuing Him because I wasn't hearing from Him). But when the anti-Moore articles began to irritatingly dominate the website, I discerned that maybe this was something I needed to pay attention to. As it turns out, all the venom directed at Moore, Shirer, and other teachers, coincidentally points a finger at me, too! To begin with, it quickly became clear that Pulpit and Pen were actively requesting testimonies from women who had "broken free from Beth Moore". 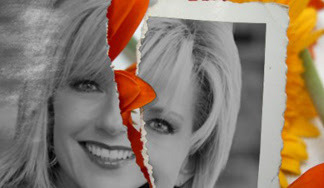 When looking through several pages of the website (both current and in the recent archives), it was disturbing to find at least one, and sometimes two, such testimonies per page, with the repetitive headline," _____ Breaks Free of Beth Moore: A Testimony". The site solicited and printed testimonies by Jill, Elizabeth, Pastor Steve, A Pastor's Wife, and many more names that filled in the blank ... all stating that they were breaking free from Beth Moore, and calling her "a false teacher", and sometimes even labeling her a "heretic". Since I have encountered several of Moore's studies in various Ladies Bible Study groups that I have been a part of, I was curious about what these people were breaking free from. The interesting thing was that in most of the testimonies, there were no specifics stated; just a repetition of a mantra-like statement like, "I am finally free of Beth Moore and her dangerous teachings". In testimony after testimony, I was left asking, Please, tell me what she is teaching that is so false and dangerous? Is it not spurious to make sure a claim without providing evidence? So, I continued with my research, reading more testimonies on Pulpit and Pen, and searching the internet for some clues as to what Beth Moore has done that is causing such an uproar. And then I found it; it was buried within one long testimony against Beth, which was interwoven with the cruel abuse one woman received at the hands of her mother. It was verified by a second article on a blog post titled, Two Reasons Why We Do Not Recommend Beth Moore. Are you ready? Reason No. 1: Beth Moore does not follow the New Testament command for women to be silent in the church. Reason No. 2: Beth Moore claims to have extra-Biblical revelations from God. That is the exact wording of the complaints against this teacher of the Bible. This second reason was also worded as, "Beth Moore was claiming that God was speaking directly to her outside of the Bible". All I can say is, I am flabbergasted! As a woman who takes her service to the Lord very seriously, I am offended that modern-day Christians still think women should be silent in the Church. I agree with The Christian Bible Reference website, which states: Some of the great leaders and prophets of Israel were women, so God could not have intended to exclude women from spiritual and political leadership. Paul's proclamation of equality and Jesus' willingness to defy convention and accept women into his larger circle of disciples should be the guiding principles rather than the customs of the Roman Empire in the first century. Women took as large a role in the early Church leadership as was allowed by the conventions of that society. By the way, Paul's statement of equality comes from Galatians 3:26-29 ... You are all sons of God through faith in Christ Jesus, for all of you who were baptized into Christ have clothed yourselves with Christ. There is neither Jew nor Greek, slave nor free, male nor female, for you are all one in Christ Jesus. If you belong to Christ, then you are Abraham's seed, and heirs according to the promise. We have to look no further than the dynamic spiritual duo of Aquila and Priscilla who, together, "expounded unto him [Apollos] the way of God more accurately". 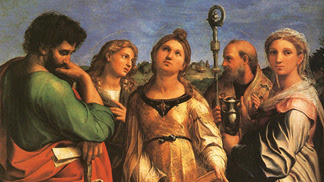 Her knowledge was equal to that of her husband, and she was not prohibited from presenting Scripture to the young disciple. And, of course, we have Phoebe, whom Paul trusts to deliver his epistle to the Roman Church, and of whom, he writes in Romans 16:1, "I commend to you our sister Phoebe, a ministrant [servant; deaconess] of the church in Cenchreae". It is obvious that she is no second-class member of the Church. I guess I am more than a little surprised that this argument is being used against Beth Moore by my fellow Christians. As to the second reason for which Beth Moore is being excoriated, I guess I am guilty of this "heresy", too. I understand that the Body of Christ wants to be careful about someone who says they "hear from God". Instantly, you might be leery of anything they say without checking to see if it lines up with God's Word. But Moore's critics aren't lodging any specific attacks. They just don't think God reveals Himself outside the Bible; that the only revelation a Believer can receive is through reading the Word. So, then how do they explain the following Scriptures? John 10:27: My sheep hear My voice, and I know them, and they follow Me ... Job 33:14: For God speaks in one way, and in two, though man does not perceive it ... Jeremiah 33:3: Call to Me and I will answer you, and will tell you great and hidden things that you have not known ... John 16:13: But when He, the Spirit of truth, comes, He will guide you into all the truth; for He will not speak on His own initiative, but whatever He hears, He will speak; and He will disclose to you what is to come. Whether Old or New Testament, God's character and nature do not change. 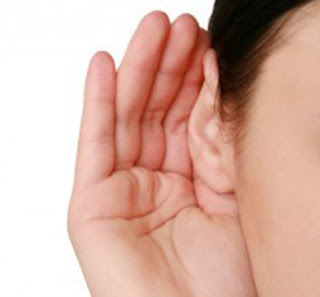 He speaks to His creation, and we can hear Him if we have that close, personal relationship with Him. The Truth is that God speaks to us in many ways .... yes, most assuredly through His Word; but also through prayer, through others, through the Holy Spirit, and through that "still, small voice" that Elijah heard during his darkest hour. To condemn Beth Moore because she says she has heard "God's voice" is like the Pharisees telling Jesus that He was casting out demons by Satan. Show me where Beth Moore has taught an un-Biblical Jesus; where she has denied His Deity or distorted His Message. Perhaps my fellow Christians who are so ready to condemn her are so scared of being deceived that they don't know how to recognize God's voice. Perhaps they see God as distant and removed, not wanting to interact with us and only visible through His Word. That is not the God I have experienced. But I think the most tragic aspect of this character assassination of teachers like Beth Moore and Priscilla Shirer is that it seems the perfect ploy by Satan to divide the Body of Christ. When Christians are so willing to attack each other over things that are not central to the Kingdom Message of Jesus Christ (repentance for forgiveness of sins; Jesus's atoning death at the Cross; our Commission to bring Heaven to Earth), then all we're doing is winning the devil's battle plan for him. In an article he wrote, Christian writer Jack Wellman said, "By doing this in full view of non-believers, we shame the reputation of Christ. We are redeemed, but many times we don’t live like the redeemed and we don’t reflect the Redeemer. Gandhi once said that 'I love your Christ…it is your Christians that I don’t like very much.' ". Sadly, at times like these, I agree with him. Jesus said that a house divided cannot stand…and Christians are sometimes divided over issues that are not central to the Kingdom and the Cross. The Body of Christ should not be divided against itself, yet many times we are attacking each other over beliefs, or any belief, that differs from ours. Remember, we are a "Body" ... the toes differ from the fingers, and have different assignments; the arms and the legs are given different responsibilities -- different tasks but all working together for the good of the body. The bottom line is this ... this kind of vitriol and attack is not representative of God's love indwelling the Believer. We were given the Armor of God to fight off the Enemy -- not each other. Righteousness and the Word should not become weapons to be used against our fellow Christians. And the way I see it, this accusation of "false teacher" is so weak that Satan is laughing at how easy it was to get us to start throwing his fiery darts at each other. May the Body of Christ quit listening to the lies of the Enemy, stand in unity, and go forth to battle the real enemy! Wow, thank you for this!! I have participated in several of Beth Moore's Bible studies through my church. They were some of the best learning experiences and times of fellowship I've had with my Christian sisters. In the past few years I've seen condemning comments about Beth Moore and have also wondered what exactly was so wrong about her teaching but never really found specifics. Thanks for doing the research to uncover a whole lot of nothing except distraction by satan. We need to focus on the real enemy instead of tearing each other apart! I was so frustrated seeing all the attacks on Beth Moore without any specific charges... it just felt deceptive and orchestrated. I may not agree with everything she says, but I have never discerned that she was teaching anti-Biblical doctrine. And you are so right ... only the devil wins when we attack each other. This is also a topic that I have been studying for a few months. I'm not as concerned about her preaching to men (however; I still feel that a lead pastor should be a male as modeled by everything that God established followed that model...but that's a different topic) and more about some of the actual video I've watched of her. I find that she is beginning to lean towards a very open Christianity where many roads lead to heaven, all religions are equal for the work of God and all gods are the God of the Bible. This is all directed under the word "unity". This is a very confusing problem for the Christian community at large...unless they read the words to the churches. In every circumstance, the Christians were told to not allow a mix of pagan beliefs and different doctrines together with the gospel of Jesus Christ. Then there is the separate issue of centering prayer, which is less like the meditation of the Bible and more like the meditation of Ghandi. It is not Biblical in teaching. That is currently what I have found in studying not just articles, but watching full videos for myself which are readily available on youtube. It is heartbreaking for me as I also loved Beth Moore's studies and writings; however, they are slowly changing into something less than what they started out as. The lesson is: always use discernment and keep our eyes open. I absolutely agree that this ecumenical teaching of "all gods are equal" or "all roads lead to Heaven" is un-Biblical and would lead to a label of false teacher! And I agree that the accusations are confusing. I. too, believe that women should not be lead pastors, but I also know that Paul referred to Phoebe as a "deaconess" (in some translations), showing me that women played substantial roles in the Early Church. I would be interested in watching the YouTube video(s) that you have seen in which she is leaning toward "the universal church". Could you send me a link in a comment? This, to me, is a far more damaging direction than her hearing revelations from God, yet the websites I saw, didn't even mention it. Thank you so much for adding to the research I did… the more we know, the more discerning we can be. We know that there will be those in the Body of Christ who fall away. It breaks my heart to see such division in the Body, and the righteous becoming so easily influenced and deceived. Thanks again for the information you have brought to this discussion. The sad truth is that when you really start following some of this path, it continues to lead down the rabbit hole with connection upon connection to leaders and teachers in the emerging church. This group of people are teaching a watered down, feel good version of the bible so that "people with itching ears" hear what they want...and then continue to keep on living their life without any transformation. If she continues teaming up with people who are preaching a different gospel, she will become more blatant in her use of a different gospel as well. Her deference to contemplative prayer, eastern meditation and reaching out to other religions in an effort of unity is not a true gospel as Jesus taught in His Word. I'm certainly not saying I have it all figured out and I'm not sure any one person/denomination does. However, Paul always said to keep it simple: preach Christ crucified, buried and resurrected. All for us, the sinners. anyhow, sorry for the long winded response, but this is just the beginning if you start digging into it. There are some extremists out there who are strange to say the least, but there are some genuine diggers who have done some good research...this is a good place to start. I'm afraid that the links you have given me are not enough [for me] to renounce Beth Moore. The YouTube videos were very obvious in taking snippets of a conversation out of context and then trying to attach her words with whatever argument the authors have with Moore. For instance, I know exactly what Joyce Meyers was referring to when she said "it's the little things" that cause disunity among the Body of Christ... ever tried to have a conversation on the full armor of God and the individual pieces of armor? It was obvious to me that the authors were putting words into their mouths ... attacking both Beth Moore and Joyce Meyers with specific accusations, but providing no specific evidence that they were accurately representing the ladies' theologies. And the use of Matthew 10:34-38 was so misrepresentative of what Christ was teaching... the authors seemed to use it to support their attacks and disunity with teachers they don't agree with. When if you do a deep dive study, Jesus was saying He was bringing a sword to separate the religious spirit of Jewish law from the new Christianity that was coming. And that's what I saw in both youtube videos you referenced ... a spirit of religion. And I respectfully disagree on the interpretation provided for Revelation 22:18. I agree that God warns against adding any additional Scripture [or taking away from the Scripture}. The modern church has interpreted that to mean "the Canon is closed". It is in the sense that no new words can be added to God's Word. But His revelation of His Word has never closed, and we are to continually seek a growing relationship with Him as the Holy Spirit reveals more and more of just who our Father in Heaven is through studying His Word. All this being said, it is concerning to me IF Beth Moore is proclaiming Brennan Manning. And all I have seen is other people's words saying that is what she is doing. I will continue my own research to find Beth Moore, in her own words, promoting eastern mysticism and the universal Church. Thank you for taking the time to provide me with the results of your research. I will continue to see what I uncover, and I simply urge everyone to do their own study... do not take my word for it, nor anyone else's... no matter who says it. Excellent article and timely! You are seeing a divisive scheme of satans and I was made aware of one such scheme a short time back when Lydia Hodge had posted an article on z3. One 'commenter' on there tried to steer the conversation toward a divisive subject(and her website, presumably) about catholic'church' or something 'catholic' but no one took the bait and Lydia answered, effectively cutting off the attack, with, "Is this your site?" It was just a little bit after that where another 'commenter' tried to stir up something with it again by asking if 'Catholics were? (don't even remember the question) but I saw the body of Messiah not taking the bait of deception and continuing on in sound doctrine and moving on to the measure of the stature of the fullness of Christ, a mature man! You have now spotted another bait the enemy is using to try to divide us and , once again, spitting out the leaven of the Pharisees and bringing sound sense to bear. BTW, I have noticed that those attacks seem to come 'paired', and the one Satan tried to come against z3 through Lydia's appeared early morning but no one took the bait and finally, after 5, the other part of the pair tried to stir something up but no one took the bait!!! We are waking up folks and praise Elohim, our Messiah because He is leading and guiding us into all truth. I am so encouraged to know that others are on the lookout for these deceptive schemes of satan to divide and conquer us. The Church has enough problems with their sacred cows and traditions of men without using lies and controversy to attack each other. And thank you for pointing out this scheme... we will be on guard against this subterfuge! Great to hear from you, as always! I would be more concerned with whatever her "extra-biblical revelations from God" were and whether they were consistent with the word of God. In a more general statement, I simply have a problem with the "peddling of Jesus" that we are seeing today. I have not problem with tithes and offerings being brought into the church to help support our full-time clergy, but God gave me illumination through the Holy Spirit regarding His word, and what was freely given to me has been freely given to others (at my cost). Most "celebrity" teachers of the word are living a very materialistic lifestyle funded by their sales of books, DVD, CD, devotionals, etc. My gosh, feed the sheep without charge and reap a real reward! You can make a living a million different ways than constantly peddling Jesus to your audience. I totally agree with your distaste of those who make money "peddling Jesus". That is a whole different topic for another day. But at this moment, I was only concerned about what the character assassination that I seemed to be witnessing, and just wanted to find out what our fellow Christians were accusing her of. Whenever I see a "campaign" against someone, and it seems carefully orchestrated without any specific charges, I am more than a little concerned that it is a scheme of the devil. That being said, I, too, am unsettled about all those who make their living by selling Jesus. Sadly, it is a by-product of our culture and a symptom of diminishing the Kingdom Message to dollars and cents. My husband and I spend a good portion of our time in a Deliverance Ministry that the Lord brought to us, but we would never consider charging for it. God has given us talents in other areas by which He provides for us. The freeing knowledge He has revealed to us is for all His children, and we hope to share it with others, who will take it out to others, and it is our prayer that it will exponentially spread to countless people. As the Word says, and you have reiterated ... Freely you have received, freely give. That being said, I cannot speak for what God has told others, and I continue to look at their fruit. It's usually easy to tell who is doing God's work for Him, and who is serving their self. It gets tiring listening to self-righteous Christians who think they have it all figured out, and that there is no room for new insight into the enormity of the God we serve. One of the latest firestorms against Ms. Moore came from a 22-year-old girl/woman who felt she had enough life experience and Scriptural knowledge to label Moore as a false teacher on her Twitter page. She must have been involved in an accelerated Bible study to feel she was qualified to make that judgment. What happened to the Biblical example of younger women learning from older women that is shown us in Titus 2? It seems as if Satan is squeezing the True Church from both ends ... one camp wants to throw out all of God's commandments and let the Body of Christ live according to their own rules, while the opposite camp wants to keep the faithful hamstrung and tied to hyper-religious doctrines that do not represent the nature and character of the God I see in the Bible. As Beth Moore has explained it, we should expect this... the Word tells us it will happen. Again, I reiterate ... I don't think any of us have the mind of God, and if we are thirsty and hungry for Him, He will reveal Himself to us -- and probably in different ways. So, I will continue to look at the fruit of those who preach and teach. Will I agree with all of them all of the time. No, but I trust the Holy Spirit to help me discern their hearts for God. And I will let God pronounce judgment on them. Nice discussion you've started here. My two cents: Anyone who says Beth Moore should shut up because she's a woman and women shouldn't talk in church is taking 1 Cor. 14:33-35 out of context. Here is a pretty good contextual analysis of those verses: https://www.gotquestions.org/women-silent-church.html. As far as Beth leaning towards universality, well, I have rabbit ears for that topic. No question, we are called to unity, but not at the expense of compromising the Gospel. So we need some bright lines around our definition of unity, and we should not cross them. As someone who has spoken extensively in public, I know how hard it can be to walk right up to a line without crossing it, and how sometimes the loose use of words can lead to an unintentional crossing of the line. So I would lean towards extending Beth some grace in this area, unless and until she makes it clear that she is a universalist. In the meantime, she's clearly helped a lot of people in their walk with God. Unfortunately, the Internet has given voice to every idiot with an opinion (including me, on occasion). For example, I saw a website the other day devoted to the proposition that C.S. Lewis was a believer in Satan and the enemy of God. Go figure. I love your straightforward and intelligent analysis of this controversy. And I agree 100%! How many of these people who are so willing to condemn, have actually listened to a body of Beth Moore's work? And of those women who have done multiple studies and are now willing to throw her under the bus, I would ask this question ... have you done extensive research of the person who condemns her? And as, this commenter writes, what makes you discern that they are correct? Do they have their own agenda? I am not saying that we shouldn't be wise concerning the teachings of others, but let's not become seduced into attacking a fellow Christian on arguable and debatable grounds. As this commenter states, we should extend grace until it can be proven beyond a doubt that a Sister in Christ has fallen away. The videos that I saw were, frankly, laughable with "the proof" they tried to display.